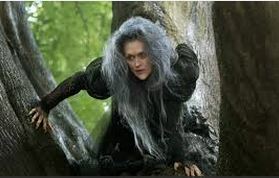 Yes, that’s right “Into the Woods” is in 4D. Not 3D. The D’s being Drab, Disappointing, Depressing, and yes, Disneyfied. What a great waste of a Great What-Might-Have-Been. A golden opportunity squandered and cheapened like the Golden Egg that the Giant’s Golden Goose lays (off-screen in Giantland) and that Jack (of Beanstalk fame) steals. It looks more like a giant basketball, than an egg. But it serves as a metaphor to represent what the makers of this mess have turned a great musical into. A Golden Basketball. Or something that the whole family can use and bounce around, hurting or offending no one. Except perhaps those of us who saw the ORIGINAL Broadway production in the ’80s. I can barely describe the power it had in that first incarnation. The niftiness( and shiftiness) of combining all those great Grimm fairy-tales of childhood lore into one complicated Jungian mash-up. And then, and THEN, because all these presumptuous fairy tale characters, Jack main among them, have caused the death of the giant, his wife, a giantess, descends to stalk the land and squishes half of the cast to death. Believe it or not, this was a musical that I always felt was Stephen Sondheim’s reflection of the AIDS crisis, which was at its’ fever peak, at the time of the original Broadway production. Suddenly, for almost no reason, half the characters we had come to like, some of them a lot, like the Baker’s Wife, just DIED. And this was a metaphor for the AIDS crisis. Half or more of all the people I knew, mostly gay, although some not, phfft, were gone never to return. So in that sense the original ’80s “Woods” was heart-breaking, soul-searing and profound and when Cinderella, beautiful beyond description, sang “No One Is Alone” to the survivors of the Giantess’ wrathful apocalypse, it was utterly moving and I remember it to this day, a jewel-like, ineffable Broadway musical moment. It was cathartic. I was waiting to feel SOMEthing like that in this facockta movie version. But no. I didn’t get it. Although they had the super, sharp Anna Kendrick sing it. Not a traditional beauty with her hawk-like, aquiline features, she radiates intelligence, which is all to the good and she sings beautifully, but THEY KEPT CUTTING AWAY FROM HER!?! Which in this case ruined the impact of the iconic song and the film’s climatic moment utterly diluted and lost. This is just one small example I can pull from MANY in this film, trying to illustrate just how watered-down, and MILD. Nearly pure pablum this disappointing Disneyfication is. The death of one of the central characters was absolutely pivotal to the original and her death by gigantic squashing was traumatic in the original because she was the one really decent character (spoiler alert!) the Baker’s Wife, who you really cared about. The role was considered a lead and won Johanna Gleeson a Tony Award for Best Actress in a Musical, no mean feat, in any year. Here played by Emily Blunt, the part seems curtailed, and well, blunt-er. And certainly her death is. She sort of falls out of frame, slowly, like she was simply, well, falling. A little girl in the row where I sat said “Mommy, what’s happened to her?” In fact, the child kept voicing simply confusions all the way through the movie. But as good as she is when she’s all made up in horror garb and face-to-give-you-nightmares, when she transforms into the beauty she once was about half-way through the film (and of course, loses all her magical powers), she plays it as a blue-and-green version of Kim Kardashian, which makes her not at all the heroine she turns into in the stage version. She’s a reality show joke. So the film loses its’ moral compass there, too. British comedian James Corden is mis-used too as the Baker. He seems ten years too young to be Blunt’s hubby, and he just over does or over-bakes all that he has to do. He’s too much of a muchness. Whereas Blunt in what should be the leading role, is just not enough. And then the film settles down to its’ gobbledygook of a book. And the tedium layer in this lonnnng film gets higher and higher. Broken thankfully, by Meryl, chewing as much scenery as she can fit in her green mouth, as she knocks both “The Last Midnight” and “Children Will Listen”(the other great Sondheim song) out of the ball-park, hitting high-notes you never thought were in her register. Such a shame that she never got to do “Evita” when she was the right age for it. And MADONNA got to do the screen version! What a sad story that turned out to be! And yes, a lot of the Sondheim score is present and accounted for, but a lot also seems to be missing, replaced by even inane-er dialogue by James Lapine, who simply should be shot at dawn for participating in the tragic abortion of a film musical. And they think THIS is going to appeal to a family audience?!?! It’s going to give little children nightmares. Like Lilla Crawford’s performance as Little Red Riding Hood will surely do for the rest of my life. For all the wrong reasons. Johnny Depp is great in a VERY small part of the Big Bad Wolf. In this case, I WANTED him to devour Lilla Crawford completely. But no such luck, she is saved, and alas we have to endure looking at her and listening to her sing(flat) for the rest of this overlong, un-fulfilling movie. 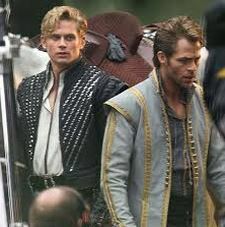 So the dueling, vain Princes, and Meryl’s Witch-for-the-Ages, make the unbearable bearable.On my Top Ten List, it’s not. I regret to say that I never got to have the late Elaine Stritch as a guest on my TV program, though I actually did meet her once. And had a little bit of conversation with her. It was in some theatrical eaterie on W.46th St. Joe Allen’s or Orso’s or some place like that. wondered why she would be so stuck on that question. I also of course, saw her onstage, probably more than once in her iconic stage performance of “Company” when she screeched out “The Ladies Who Lunch” with nary a voice at all. But it didn’t matter. And I saw her “Elaine Stritch:At Liberty” on Broadway which was wonderful, just wonderful, and she was a mere slip of a girl at 79 at the time. I remember her copping to being a diabetic. In fact, she had to leave the stage at one point, presumably because she had had a diabetic “low” and returned literally moments later with a glass of orange juice in her hand. I could relate. Jeff Wells at http://www.hollywood-elsewhere.com has just penned a lovely tribute to her, and he has her entire “At Liberty” you tube video posted there. I wish I could figure out how to post it here. 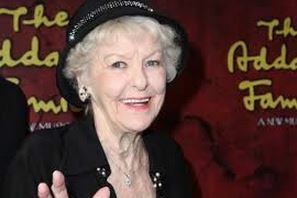 Elaine Stritch also famously didn’t have a bigger career because of her drinking, which went on for years and years. And then I guess because of her diabetic condition, she stopped. She was 89. Perhaps if she hadn’t been such a boozer and for so long, she would’ve lived longer and had been much, much more famous. But you could never forget her. I find myself lately wandering more and more out to Brooklyn, which to this Native New Yorker, a Manhattan-dweller, is equivalent these days of traveling to a foreign country. And I always get lost. The weather was with me, but the subways weren’t. This time the trains weren’t helping. The “F” subway line was on a weekend schedule where it skipped the stops that I had to take to see the Gallery Players production of “A Little Night Music.” So I ended up getting out at an earlier stop (before the skips started) and ended wandering around a deserted, desolate, rather intimidating moon-scape of storehouses and warehouses, all shuttered for the weekend. It went on and on. For blocks upon blocks. Pot holes everywhere. Thank goodness the sun was up! New York has been suffering through one of the worst winters on record but this day, a Sunday, was unseasonably warm and bright, so I took the chance for going alllll the way out to Brooklyn to see the Gallery Players for the first time. It was a Matinee Day and the sun was up or I would’ve been REALLY daunted. Now the Gallery Players’ mandate is to serve its’ community in the Park Slope area of Brooklyn. “Broadway in Brooklyn” its’ ads proudly proclaim, and I’m sure the residents nearby its’ location delight in the idea of attending an enterprising theatrical mainstay that is in walking distance. The Gallery Players are a sort of semi-professional group. An Actor’s Equity Showcase, it boasted an afternoon of excellent singing actors, some giving stand-out, blazing Broadway-style turns, like Judith Roberts as Madame Armfeldt, whom I’ll get to in a minute, and then others who were embarrassingly amateurish. They could sing, but they couldn’t act. But it was lovely hearing that great score once again. It always enchants. Nevertheless “Little Night Music” was a wildly uneven, seemingly under-rehearsed production. And any production of one of Stephen Sondheim’s best-ever musicals has to compete in my mind with memories of the blazing Broadway original, directed by Harold Prince. Both he and Sondheim were at the heights of the respective careers when “A Little Night Music” exploded on to Broadway in the 1970s. I remember Glynis Johns, who could barely sing a note, being just wonderful as Desiree Armfeldt. She was so vivid, so sensual, so charismatic as the Swedish actress, all these men keep chasing after madly in Stockholm at the turn of the last century. Based on an Ingmar Bergman movie “Smiles of a Summer Night,” to which it is, in my mind, far, far superior, Sondheim wrote “A Little Night Music” completely in waltz time. It’s one of his best scores, if not THEE best. I remember so well the shock of the five-person quintet of aristocrats bursting into the semi-operatic “Remember? Remember?” at the beginning of the show. Then having it settle down to this opulent, melodic score that just soared, although the two central female characters played by Glynis Johns, and, as her mother, Hermione Gingold, couldn’t sing a note. Rita Rehn, as the vixen/actress Desiree Armfeldt, here was bouncy and charming and really wow-ed me with her unexpectedly poignant rendition of “Send in the Clowns”, the song that some consider Sondheim’s best. And certainly the most popular. And it couldn’t have come soon enough. The pace of this production was REALLY slow. 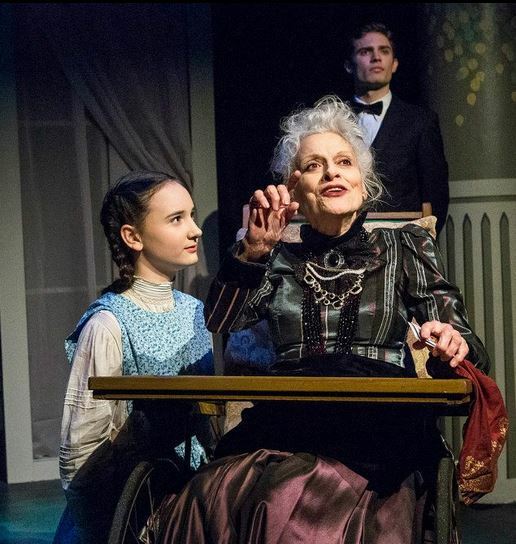 But the other saving grace of “A Little Night Music” was Judith Roberts towering turn as Desiree’s sensible courtesan mother, the wheel-chair bound Madame Armfeldt, who bemoans the present state of amour in “Liasons”. Ms. Roberts is giving what can only be described as a legendary interpretation of this terrific role and ranks right up there with Gingold and Elaine Stritch and all the other great ladies who have played this iconic role.”Fire opal pedants!” being one of my all-time favorite lyrics. M. Armfeldt exclaims this mid-song describing one of the great gifts, a long-ago lover bestoyed upon her. She, unlike the others I’ve seen. chose to sing “Liasons” standing up, and not in a wheel chair, which added to her and its’ power as a show-stopper immeasurably. She brought down the house. And I would venture to say that her performance alone is worth the trip out to Brooklyn to see the Gallery Players before the run of this production ends on Feb. 16. Her Madame is right up there with Gingold and Stritch, who played the part previously. So in conclusion “A Little Night Music” by the Gallery Players is a mixed-bag of baubles indeed, but one you should definitely look in to. You might find a diamond, like Judith Roberts. Back in New York, it’s freeeezing! 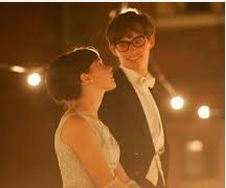 TIFF is just about over, but the Oscar race is just beginning! I’m back in New York from the increasingly chilly weather of Toronto, and I hate to leave TIFF, as always. It’s like the circus is packing up and all the excitement is dying down…til next year…OR til the New York Film Festival starts, which is Monday! The press screenings I mean. Which like TIFF, in some kind of weird film festival tradition are almost always held at ridiculous hours of the morning! But I digress! I come back to find that while my own personal TIFF is now done, the Oscar race is only just beginning! But you all knew that already! who is comfy and warm in sunshine-y L.A…. Sasha has a particularly interesting take on the Best Actor race. As does Jeff. But both of them leave out Gerard Butler and his career-changing performance in “Machine Gun Preacher” completely! I beg to differ. The night I left I was delighted to see ET Canada do a whole segment on Gerard and his Oscar chances. And the films’ too! “Moneyball”? REALLY? A baseball movie? I mean, they DO like to keep nominating him for the star-power he brings to things…but if he’s going to be nominated this year for anything it’s Terence Malick’s “A Tree of Life”…which is serious, and pretentious enough for the Academy. However Sasha and Jeff ARE right about George the Clooney being everywhere and charming everyone and everything in sight. I didn’t get to see EITHER of his two TIFF movies “The Ides of March” and “The Descendants” which everyone says is the better of the two. But I don’t personally think that David Cronenberg’s TIFF bomb “A Serious Judgement” is going to get any serious Oscar consideration whatsoever. And that neither of its’ leading men, Viggo Mortensen or Michael Fassbender are going to be nominated for Best Actor or ANYthing for this film. for some VERY spirited Oscar buzz talk from TIFF. Thank you Anthony! Thank you Thelma! It was Anthony’s idea to sit-in with me for a running Oscar commentary at TIFF. This is Anthony Del Col of “Kill Shakespeare” fame and he’s VERY good at this! As he is at everything! We taped two complete episodes which equals something like six videos in You Tube time and I can’t WAIT for you to see them all! I also have to point out that “The Ides of March” was underwhelming everyone I spoke to. Especially Anthony and Thelma, as you’ll see. I don’t think “Ides” is an Oscar slam-dunk by any means, though Oscar god Dave Karger says so. When you’ve got two films in Oscar play at a place like TIFF, one is usually going to eclipse the other, and I think that’s what happening with “Ides” and “Descendants” and “Drive.” The two “D”(entitled) movies are faring better on the TIFF buzz circuit, I would say. But it WAS interesting in that there was no clear front-runner AT ALL. Not like “The King’s Speech” was last year and others like “Slumdog Millionaire” and “No Country for Old Men” were in other years’ at TIFF. So I’m back, dear readers, dear cineastes, dear theatre-lovers of literature, and tomorrow night the BROADWAY season starts with a revival of “Follies” one of Stephen Sondheim’s greatest, so when the autumn breeze starts freezing the trees, I feel like TIFF’s warmth was one big fever dream!